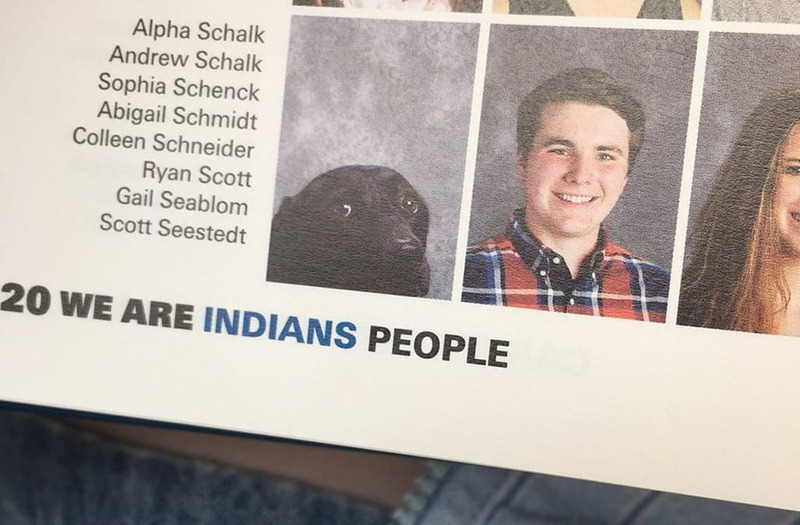 Stafford High School students in Stafford, Virgina saw a small surprise when they opened their yearbooks: Alpha, a service dog, received his own photo. Stafford junior Andrew "AJ" Schalk is Alpha's owner; he has Type 1 Diabetes and the pup can alert him if his blood sugar is too high or low. "Seeing a picture of a dog caught my eye pretty quickly," she told BuzzFeed News. "I thought it was so cute, and I knew that some of my underclassmen friends hadn't seen it yet because they didn't have their yearbooks so I took a picture and tweeted it." 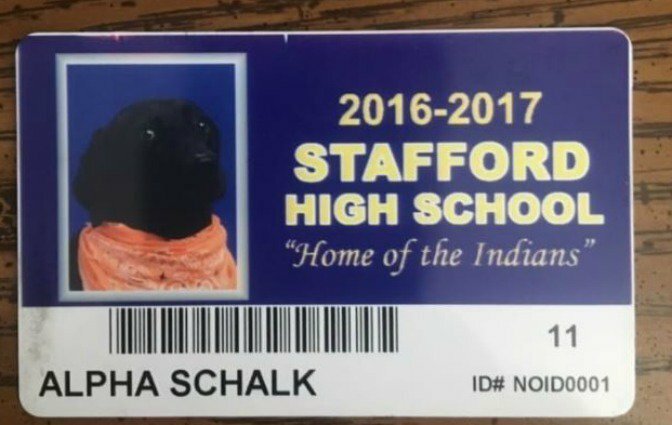 Schalk took Alpha along when getting his photo taken and the school was supportive about including him in the yearbook. "The only thing they changed was the camera height," he told BuzzFeed. "They just had to lower it a little." Alpha's presence has improved Schalk's life. He said, "He makes a disability, such as my diabetes, such a positive experience for me and my life overall, and really turns it into a blessing rather than a negative part of my life."